Home > Intermediate rides > Gravitron > Walter House’s Gravitron prototype, circa 1983, Morey’s Piers. Photo courtesy of Mark Russo. 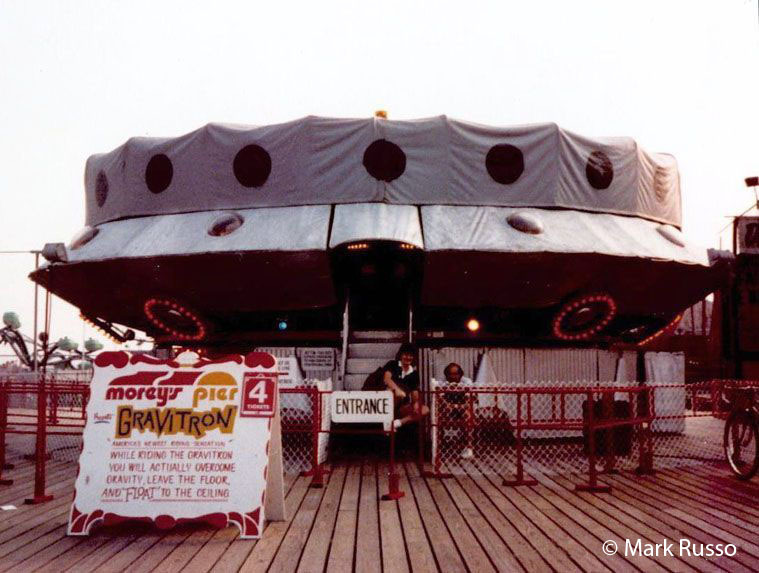 Walter House’s Gravitron prototype, circa 1983, Morey’s Piers. Photo courtesy of Mark Russo. I remember frequenting this site 9 years ago. I also remember how much I used to love this ride, it was the very first carnival ride I rode once I was tall enough for most carnival ride height ranges. Unfortunately, I am more susceptible to motion sickness than I used to be, so I can no longer ride carnival rides like this.